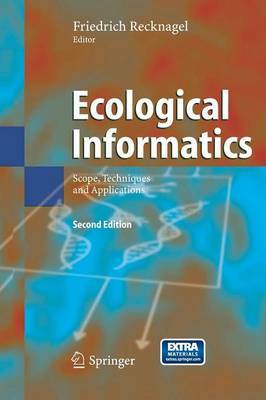 Ecological Informatics promotes interdisciplinary research between ecology and computer science on elucidation of principles of information processing in ecosystems, ecological sustainability by informed decision making, and bio-inspired computation. The 2nd edition of the book consolidates the scope, concepts, and techniques of this newly emerging discipline by a new preface and additional chapters on cellular automata, qualitative reasoning, hybrid evolutionary algorithms and artificial neural networks. It illustrates numerous applications of Ecological Informatics for aquatic and terrestrial ecosystems, image recognition at micro- and macro-scale as well as computer hardware design. Case studies focus on applications of artificial neural networks, evolutionary computation, cellular automata, adaptive agents, fuzzy logic as well as qualitative reasoning. The 2nd edition of the book includes an index with novel evolutionary algorithms for the discovery of multiple nonlinear functions and rule sets as well as parameter optimisation in complex ecological data.